The main components of a heat exchanger are the front head, shell section and rear head. Each component is available in a number of varying standard designs. Head designs can vary from plain standard castings to fabricated assemblies with many special features. In many cases, the requirements of an installation may dictate the choice of the more elaborate design. 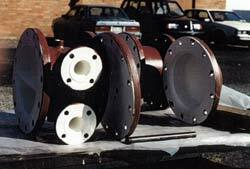 Heat exchanger shells are manufactured in most standard sizes, materials, and thickness. 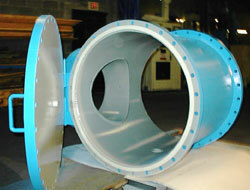 Small sizes are usually fabricated of standard size pipe. Larger sizes are fabricated of plate. Selection of a particular size shell depends, of course, on the requirements of a given installation.